What happens this week will determine if 23 million Americans lose health care coverage. Republicans are desperate for a win: they need Trumpcare in order to keep the party on track. This is a battle we cannot afford to lose: our lives are at stake! We reject the TRILLIONS of dollars of tax breaks made possible by gutting Medicaid, eliminating subsidies, weakening protections and denying access to care for millions of Americans. At this moment Senator Cornyn is in closed-door negotiations, wagering our health, financial futures, and our very lives. Because he has refused to hold a town hall, we must find find other ways to be heard. 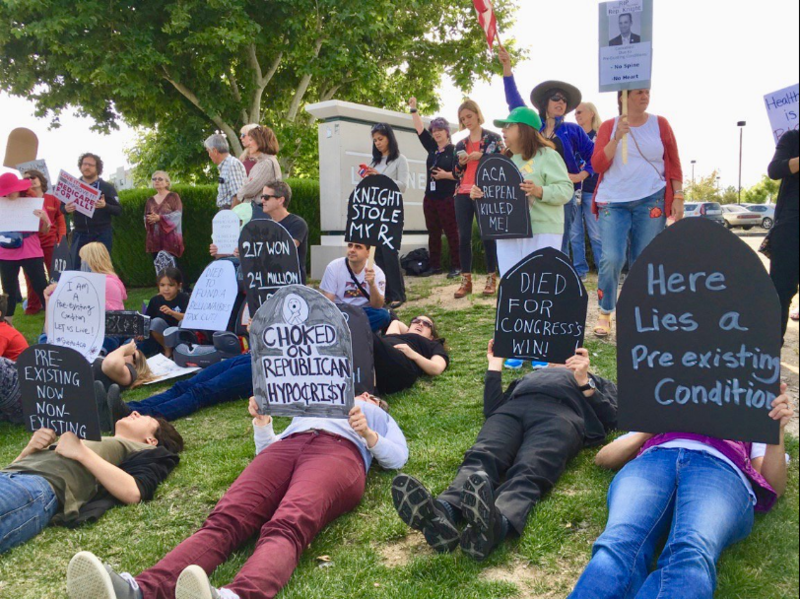 We want Cornyn to see that our tombstones reflect causes of death under Trumpcare. A die-in is a form of nonviolent direct action protest where participants publicly pretend to die to highlight a deadly problem. Its origins are hard to pin down, but it was notably used to powerful effect by ACT UP during the 1980s AIDS crisis and more recently by the Black Lives Matter movement during the Ferguson protests. It holds most power when media attend the event and when photos and video are shared on social media. Our lives are on the line! 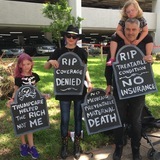 Join us for a Die-In to tell Senator Cornyn we oppose deadly Trumpcare and Medicaid cuts! 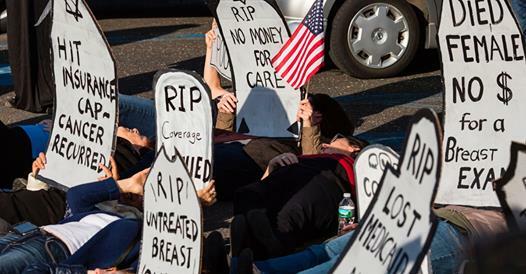 Once you RSVP for the event, details for the Die-In Action agenda will follow. We have tips, costume ideas, and a few creative suggestions so you can create your own personal tombstone. So let's do this! Together we can send our message to Senator Cornyn and protect the lives of millions of Americans.